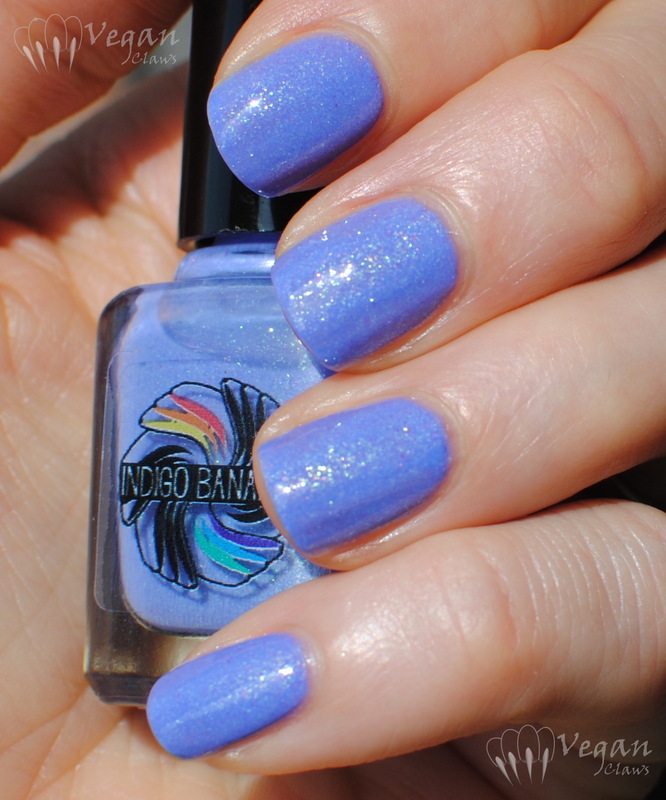 Powder Perfect Lorelei has a periwinkle-leaning light purple creme base with green glass flecks and fuchsia-purple microflakies. I used three coats plus top coat here, although it’s really more of a two-coater, I was just having the impression that it somehow didn’t want to stick to the base coat I was using (Illamasqua, for the record – not really my favourite base coat, I won’t be repurchaing it). 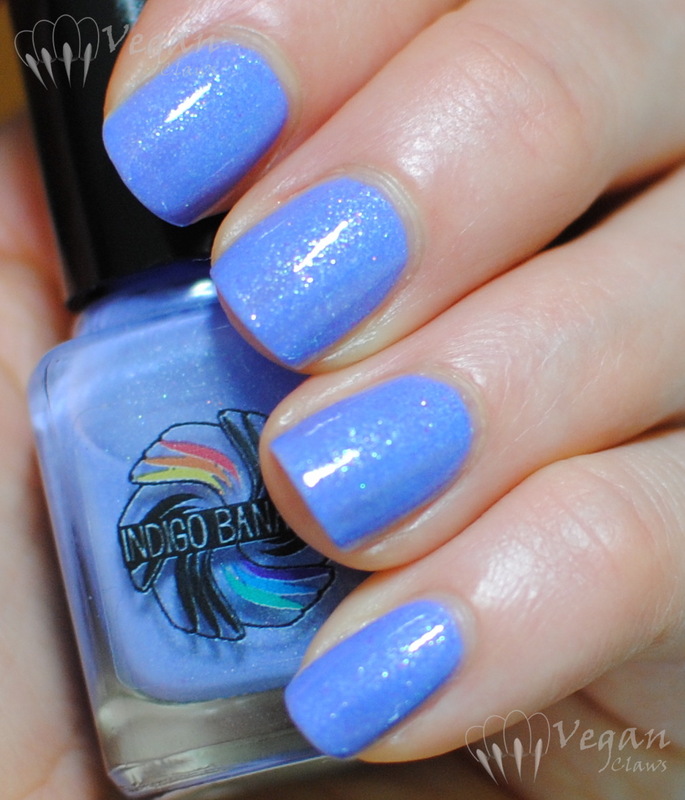 Here is Indigo Bananas Electric Unicorns, a periwinkle creme with green glass flecks and fuchsia-purple microflakies. I used three thin coats plus top coat. Here are the bottles next to each other. Now, clearly the Powder Perfect is a shade more purple/darker but other than that they’re quite similar. 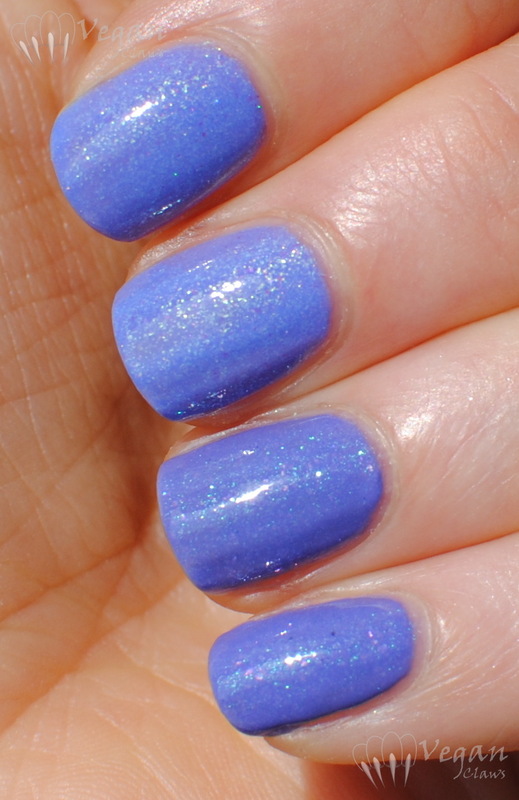 Here’s the comparison on the nail; three coats for the Indigo Bananas (on the index and middle), two coats for the Powder Perfect (on the ring and pinkie) (I managed to get it to play nicer with the base coat this time). 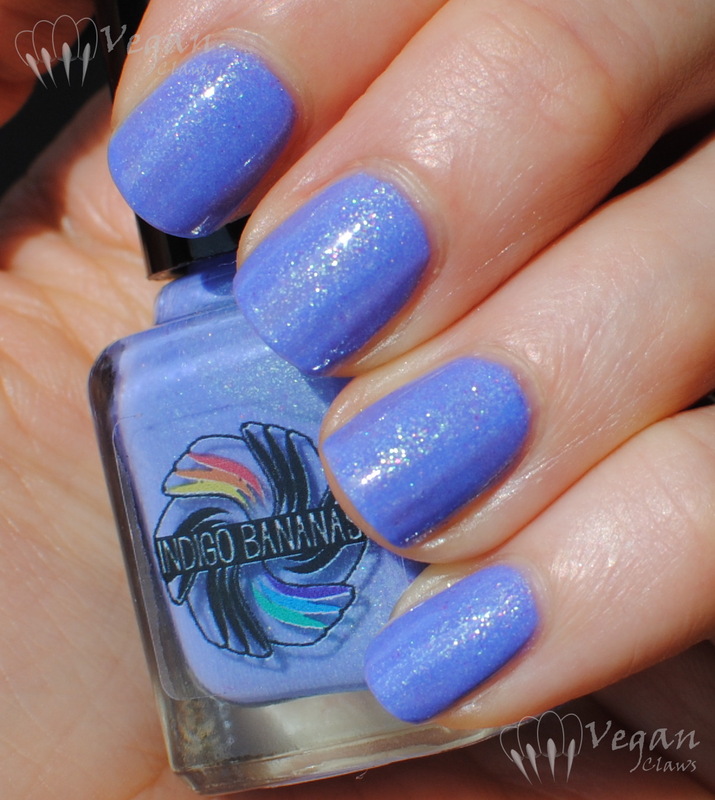 Despite that my own personal pick is the Indigo Bananas just because I’ve had it longer and have a much bigger collection of their polishes! 🙂 Although I do think these qualify as “similar, not the same”, so I can see how someone might want to have both! Ooh, that is pretty awesome – I love those sorts of periwinkle blue colours. Very nice. Thanks Sandra! I love periwinkle too!